Sarah Todd has the distinct talent of seeing the world a little bit differently. From views of London’s Tower Bridge to her safari adventures, Todd has the ability of transforming what she sees into abstract visions of bold acrylics and glistening metallics underneath a layer of sleek resin. It’s her unique portrayal of the world around her that has captured the attention of many Dallas residents. 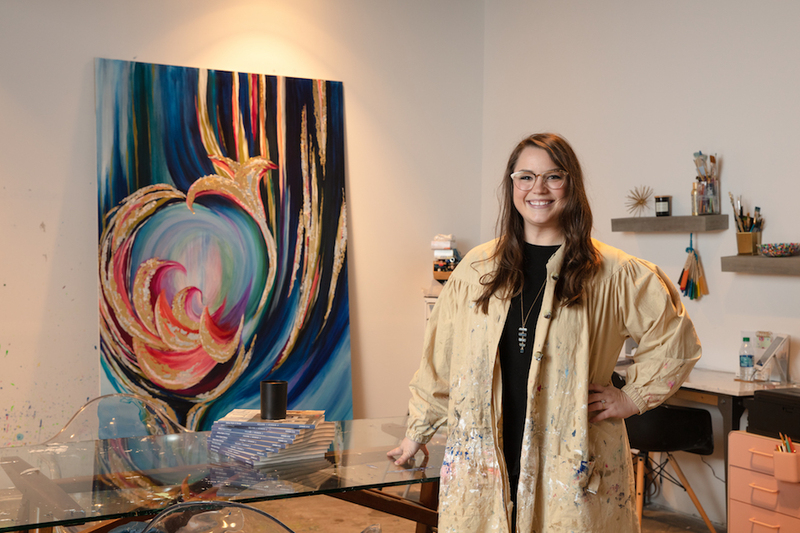 Since she first became a full-time artist about a year ago, Todd has been working nonstop to bring her Midas touch to homes across Dallas and beyond. “By the end of the year, I will have completed 100 paintings,” Todd told Dave Perry-Miller Real Estate in September. Her design process and inspirations are featured in DPM’s fall/winter 2018 Fine Home Collection. Todd is available to create custom pieces at her website sarahtoddart.com.